Eric Paul Dennis joined the Transportation Systems Analysis (TSA) Group at CAR in 2012 as a Transportation Systems Analyst. 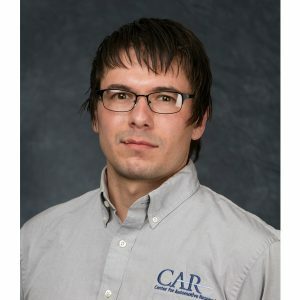 Eric’s research focus at CAR centers on policy implications of new mobility services and developing transportation technologies. Eric has extensively studied driving automation and connected-vehicle technologies in order to provide policy guidance to public agencies, as well as analyze how the private sector may be affected by emerging public policy. Eric is a Michigan-licensed Professional Engineer (P.E. ), with a B.S. in Civil Engineering from Michigan State University, and an M.S. in environmental engineering from the University of Michigan. Eric also holds an M.S. in Urban and Regional Planning from the University of Michigan, where he studied public-policy approaches to community and economic development.